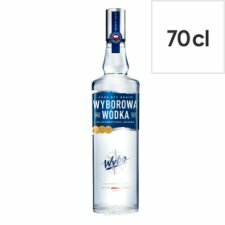 Wybo is genuine Polish vodka produced of Pure Rye Grain and pristine water from our own well. Wybo is smooth and creamy spirit with grainy, fruity and slightly flowery notes. Best enjoyed neat or chilled as a shot… the Polish way. Wybo's smooth taste also makes it a great base for your favorite mixed drink.